Published by Beggars Banquet Music Ltd. (ASCAP), Beat 'n Track Music. Other (stamped on both sides in run-out groove): ☆PRESSED AT SOUND MAKERS,☆N.J. 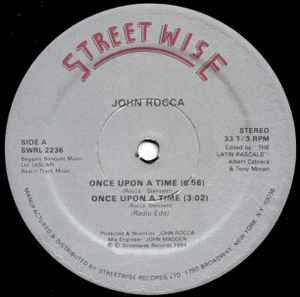 Important note about the Once Upon A Dub featured on this Streetwise 12", this is a heavily spliced/razor'd up version of the same titled mix on the Beggar's Banquet BEG 113T version. Both are hot,.. but this one is hotter.